For my birthday, last month, my awesome sister gave me all the ingredients to make some salt dough. 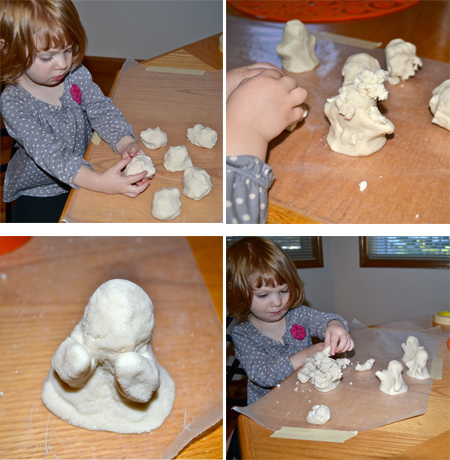 With it she printed out this great idea from Family Fun for salt dough ghosts. I thought it would be a fun craft to do with my children on the day before Halloween. It was a fun craft, unfortunately, I was the only one into actually making the ghosts. 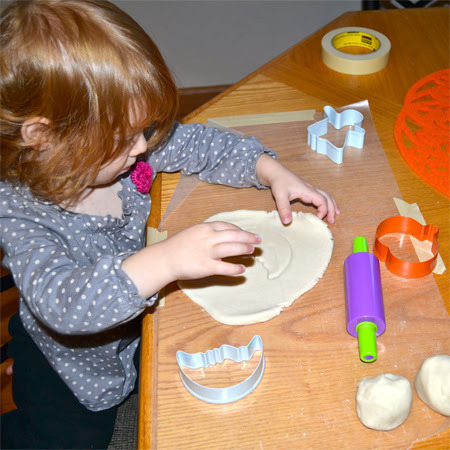 Buddy decided that he wasn't interested in salt dough and Jellybean decided to work on her own projects. This included smashing two of my already created ghosts... 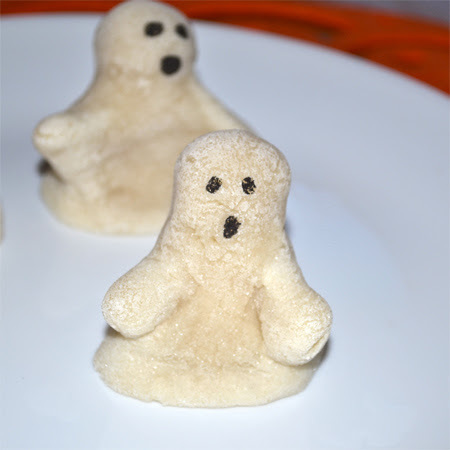 Anyway, I had fun, Jellybean kept busy and I like my little "ghosties." 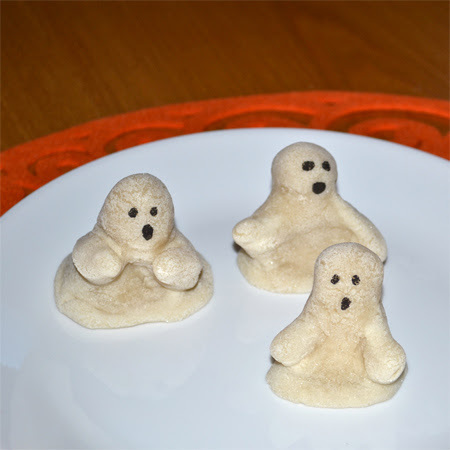 While alive, two of these ghosts were sumo wrestlers. Can't you tell? I don't know how these will hold up, but they will be adorable in my Halloween mantel next year if they are still in one piece. I love the additional craft idea my sister gave me for some spooky paper bag trees. Would be so cute with the ghosts in a Halloween table display. If you are looking for a ridiculously easy Halloween craft today, this might be the ticket. These are so great. 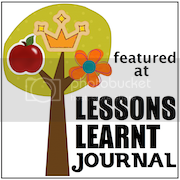 I would love for you to add this and some of your other great ideas to my weekly Mom's Library Link-Up. I love these! The ghosts are really cute. That is such a creative idea. I hope they hold up for you so you can put them on the mantle next year. If not, it is a good excuse to make more next Fall.